This giveaway has ended and the winner is VERCETTY94. I don’t know if you know this, but I’m HUGE Resident Evil fan. My apartment is full of RE stuff. Resident Evil 2 Remake is almost here and I would like to have a giveaway honouring its 20—year—journey from PlayStation 1 to PlayStation 4. So, I’ll giveaway a physical copy of Resident Evil 2 (PS4) when it’s released on January 25th, 2019. To participate this giveaway I would like to start a conversation and the topic is: what are your best and worst expectations of RE2 Remake? I will keep this giveaway up until January 23th, 2019 of Finnish time. I’ll dispatch the game at once it’s released. This giveaway is WORLDWIDE. I also have another giveaway on biohaze.com which is leading RE fan site where I giveaway two copies of Resident Evil 2 (PS4). Anyone can participate to that, too. I just really hope they nail the gameplay and the story again! I just love the story. Wow this one looks so exciting, and as everybody said hopefully the story will meet the expectations as always. I adore Leon, tho I’m not sure how I feel about how they updated his face for the remake. I was, too, weirded of his face and Claire’s pumped upper lip. She looks like 14 year ols who try to be 21 and entet the bar. The game looks great. I hope it isn’t too unforgiving. The Tyrant gameplay gave me all sorts of anxiety and stress much like I experienced back when I played the original on PS1. I’ve played the demo and I come away impressed. The over the shoulder, TPS perspective make this feel as if it’s RE2’s first outing. The controls, aiming and graphics are responsive, precise and crisp, respectively–reminiscent of RE4. The zombies are tough and the tight corridors make it feel extremely claustrophobic and foreboding. I think I will have to play it on easy for my first play through since it takes so many head shots to kill one of those bastards. But the amounts of bullets make it easy. The disappointing was that the demo didn’t feel survival, more of smashing the zombies into pieces with the bullets. Maybe the demo was on Easy difficulty? Maybe the Easy is just zombies not being any easier to take down, but givin more bullets. If this was Normal it is still too easy. I don’t like to play games on Ultra Hard to get some survival and then fighting with first zombie for hours before take it down. I wan’t it to be decent, balanced experience. Those very hard modes are for those who wants overly difficulty and challenge, but they also have played the game first with easier modes so they know what to expect and what to do. Of course there are different methods to make game survival, such like giving less bullets and zombies can be still taken down, giving more bullets and more zombies. Demos also are always difficult to tell from the final product as they can be just made for the demo and not actually being 1:1 from the final game. I also liked the over the shoulder perspective and claustrophobic feeling. I usually try all the games on Normal first time, but it always depend on games and if the game gives player to change the difficulty middle of the gameplay so I could always change it to Easy. But sake of making reviews I have to play them on Normal, and I’ve seen it to be OK for me. I think that my best expectations for this game is the returning to his “orignal formula”. I have to say that RE7 is also how this franchise should take the survival horror meaning. Honestly haven’t played the previous games (like this RE2), but I’m pretty excited to take part of this game, as some people have told me that his original version is massive. All of this with a fully remaded graphics and improved gameplay mechanics (remember it’s a Remake and not a Remaster :D), could only go well, but we’ll have to see. And here is where I go to the bad expectations. Like I said, never played it, and I can’t especulate too much on how the story will go and If it’s going to be good, because I don’t know. That is the magic on being a first-timer, I believe haha. Nevertheless, the fans and community knows this will be a good game, and I hope it will keep Resident Evil to the good way, since RE7 is really good (except the last part of the game :/). I’ve played the demo today and it felt fantastic! They did an inventory system similar to RE7, I liked it so much overall. just love claire redfield. When you point those flashlight you never really know what you will see. Pump up the adrenalines. I would love it if they nail the feeling and atmosphere of their latest game and combine it with the spooks from the original one! I would also love to play it because the horror game market is one of my favourite. I think the new camera angle can and will bring benefits to the gameplay. I just hope that the movement is fast. I hate when I’m playing a zombies game and the characters move too slowly. In the demo the movement was fast, the zombies weren’t fast, but tough to take down. I really hope they nail it! My worst expectation is that the game will be short! The original Resident Evil 2 had tons of replayability with 4 campaign scenarios (A and B) and Tofu and Hunk if you were good enough to unlock them. I imagine RE2 Remake will take around under 20 hours to complete. 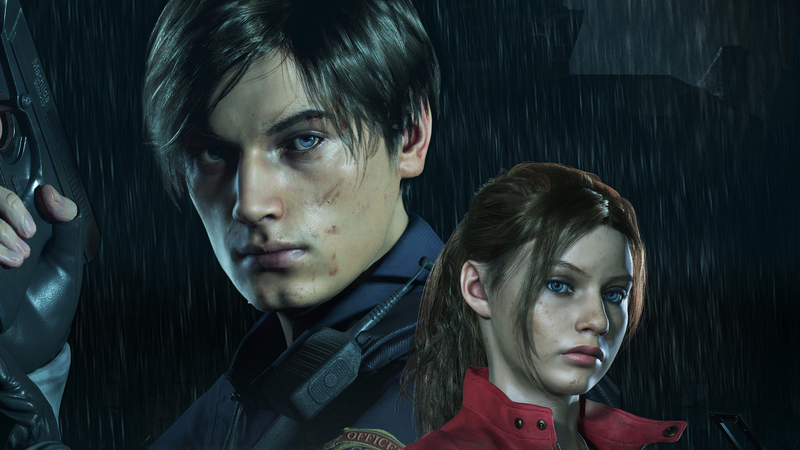 Pingback: Resident Evil 2 (PS4 Pro) demo review – "Game over? Phlease!" When I first played RE2 it was a rental. I got disc 2 and my brother got disc 1. I just hope the reimagined stuff lives up to the hype. I would like some new content to flesh out the story more. decide what items you wanted to pick up and, sometimes, what weapon to use. the floor in the hall of the mansion hahaha. but it was necessary to put tough enemies to make a good game of survival. giant bat in the church. short but and saw some good , the darkness, for example. had a lot of ammo and this scared me a little. Okay, so I think I will address perhaps my greatest expectation which is also my worst at the same time. That in itself is the continuity that was expounded on with Resident Evil 3 and Outbreak (Both Files), the latter now being counted as canon after excerpts were found in RE 7. That being said, I was glad to see those Outbreak Easter Eggs in the gameplay and demo alone and hope there’s more. I fear if they won’t include what transpired with Jill and Nemesis (Brad even as he was a nod in his zombie form) at RPD. Hopefully they will as they hinted there were more 1.5 elements being added, so I can only hope this will ultimately be the true way to the all these games and their events together. I’m 33, and played every incarnation of this game as it’s come out. Really looking forward to this remake. Resident Evil 7 was fantastic. Why did they make the protagonists look like children?